It is crucial for people of all ages to have properly fitting shoes. You should always try on shoes while in the shoestore in order to make sure you are getting the right fit. A new pair of shoes should never pinch your feet, and there should be at least one finger length of space at the top of the shoe. Additionally, your heel should have a firm positioning inside of the shoe. It is advised that the shoe buyer takes a walk around in the store for several minutes before making a purchase, in order to know if the shoes fit properly. 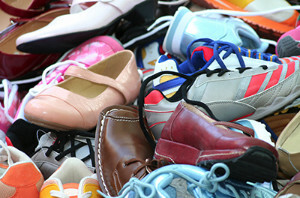 Finding a properly-fitting shoe is important in reducing injuries and preventing foot problems. For more information about treatment, contact Dr. Jeff Pawlowski from Red Mountain Footcare. Our doctor will treat your foot and ankle needs. If you have any questions please feel free to contact our office located in Mesa, AZ. We offer the newest diagnostic and treatment technologies for all your foot and ankle needs.